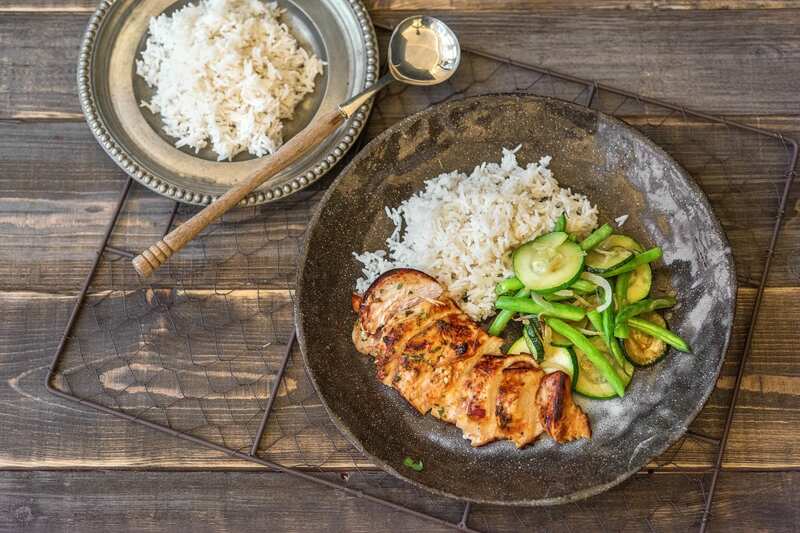 This eminently enjoyable dish is our nod to the less well-known side of Lebanese cuisine, with delicious green beans and rice. 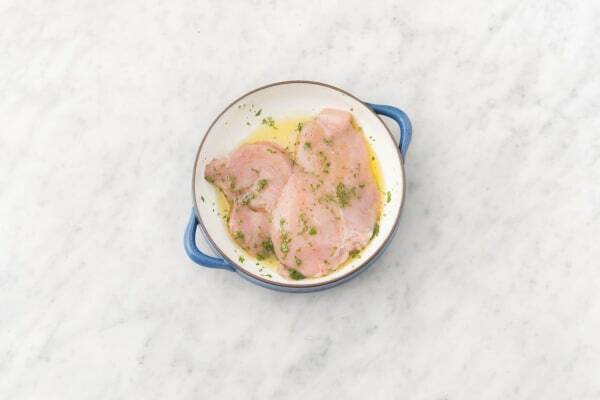 For maximum flavour, we recommend marinating your chicken for as long as possible. With every extra minute it gets more delicious! Preheat oven to 200°C/180°C fan-forced. To prepare the ingredients, rinse the Jasmine rice well. Peel and crush the garlic, pick the coriander leaves and finely chop, and trim and halve the green beans. Thinly slice the zucchini and finely slice the red onion. Place the Jasmine rice and the water in a medium saucepan and bring to the boil over a high heat. Reduce the heat to a medium and simmer, uncovered, for 10-12 minutes, or until the rice is soft. Drain and set aside. Meanwhile place your chicken breast fillets between two sheets of baking paper. 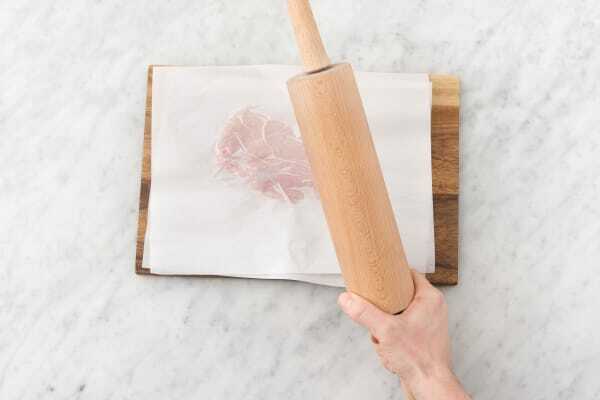 With a heavy mallet or rolling pin, flatten the breast until 2 cm thick. In a large bowl mix together half of the olive oil, garlic, honey, coriander and some salt and pepper. Add the flattened chicken and coat well. Heat half of the remaining olive oil in a medium ovenproof frying pan over a medium-high heat. Cook the chicken for 2 minutes on each side or until golden. 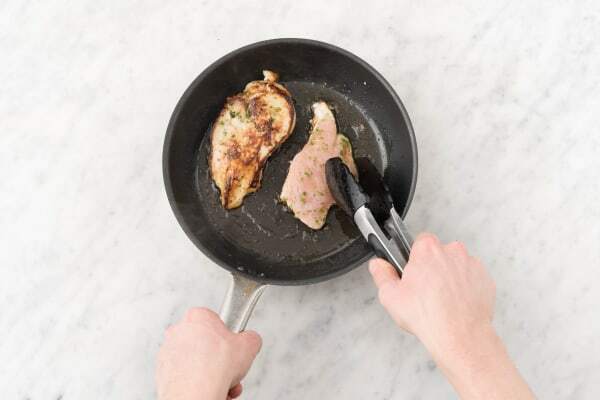 Transfer the pan to the oven and bake for 6-8 minutes or until the chicken is cooked through. Meanwhile, heat the remaining olive oil in a medium frying pan over a medium-high heat. 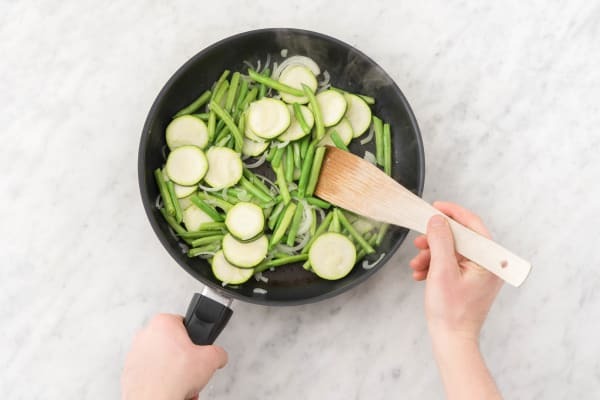 Cook the green beans, zucchini and red onion for 4-5 minutes, or until softened. To, serve divide Jasmine rice between plates. Top with the vegetables and chicken. Enjoy!